This growing bundle will include all the sets of first grade whiteboard videos. As new resources are added, the price will increase. Individually videos are $1.00 each. This huge bundle saves you 50% and gets you access to ALL additional videos! This growing bundle will include all the sets of kindergarten whiteboard videos. As new resources are added, the price will increase. 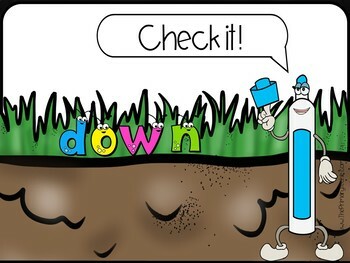 These videos offer a quick, no-prep review that your students are going to love! 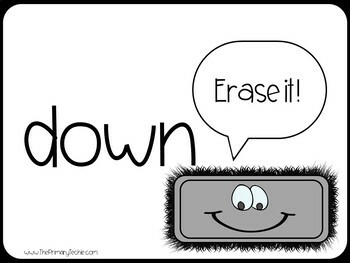 Each student needs a whiteboard, marker, and eraser. 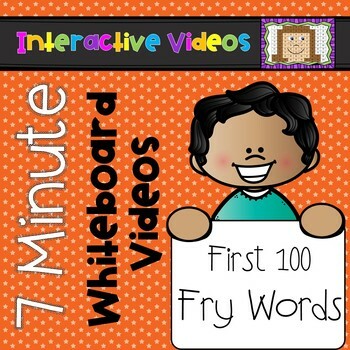 This set includes the first 100 Fry Sight Words and contains 10 videos. 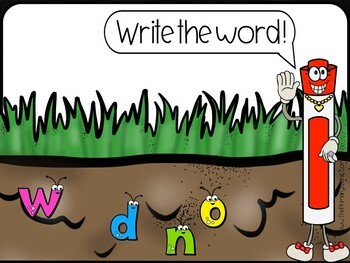 Students will hear the word and see the letters to spell the word all mixed up. They unscramble the letters and write the word on their boards then check their spelling as the letters move to the correct places. This is a wonderful way to reinforce sight word spelling. Each video is approximately 7 minutes long. These are terrific for transitions or as a warm-up for your lesson. Due to the large file size of videos, this download is a pdf file with a link the the videos on Google Drive.